Everton's FA Cup semi-final tie against Manchester United will be shown live on BBC One. 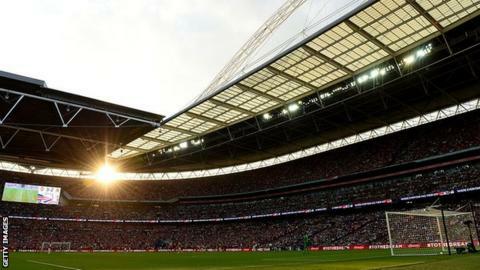 The match will take place at Wembley Stadium on Saturday, 23 April, kicking off at 17:15 BST. Crystal Palace will take on Watford at the same venue on Sunday, 24 April at 16:00 BST, with the match to be shown on BT Sport. The winning semi-finalists, who receive £900,000 from the FA's prize fund, will meet in the final on Saturday, 21 May. You the pundit: Who wins the FA Cup? Read more on You the pundit: Who wins the FA Cup?